Powerful guns without licenses and permits! 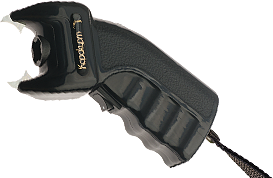 A wide range of contact-remote stun guns and accessories for citizens. A powerful and effective weapon! 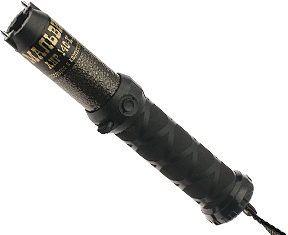 Multifunctional, powerful and reliable stun batons, with additional options. Nothing can hide from prying eyes! Manufacturer of non-lethal weapons and security equipment for security services. 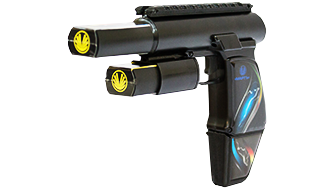 More than 25 years March Group develops and produces unique stun weapon which can be used as a contact or remote stun devices against criminals and violators of the law, ideal for crowd-control. Stun gun weapons are meant to be used in violent situations, to stop officers having to resort to guns or use lethal force. «MARCH GROUP» is official supplier for all the military structures in Russia: Ministry of Internal Affairs, Special Police Forces, Head Department of the Penitentiary, Federal Bailiff Service, Federal Security Service, Federal Drug Control Service and etc. 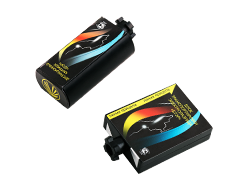 Every stun gun produced in the Company undergoes 5-level functional testing and has 1 year warranty period! All products are certified and cause no any permanent harm that is garanteed by medical and biologic expertise of State Scientific Centre certified by Russian Ministry of Health. Contaсt and remote MARCH's stun guns are powerful self-protection weapon. It's a silver bullet for your and your's family protection! 3-5 декабря в Каире состоялась международная оборонная выставка EDEX (Egypt Defence Expo). В мероприятии приняла участие российская компания «МАРТ ГРУПП», крупнейший разработчик и производитель электрошокового оружия и средств обеспечения безопасности. XXII международная выставка средств INTERPOLITEX проходила 23-26 октября в павильоне №75 ВДНХ в Москве. Выставка привлекает производителей средств обеспечения безопасности и представителей соответствующих структур из разных стран. Каждый год на выставке INTERPOLITEX представляет свою продукцию компания «МАРТ ГРУПП». Посетители выставки имели возможность не только осмотреть образцы контактно-дистанционного электрошокового оружия от «МАРТ ГРУПП», но и опробовать их в деле. Тренировочные выстрелы по мишени отлично демонстрируют оборонительные возможности стреляющих шокеров!